I’ve done a LOT of programs over the last 6 years, and there are things I love about many of them (and some things I really didn’t love at all)! This program has somehow combined ALL of the things I LOVE into one perfect creation! But even more than all of that, my husband is joining me! We’ve done all of the workouts together so far. He’s helped me plan the weekly menu. He’s following the meal plan along with me. Everything is easier and more fun when you do it together! They are quick and effective. I’ve been sore but not paralyzed. I love that it’s really just back to basics strength training – 3 sets of ten, very straightforward. And the cardio is HIIT – and IF I have to do cardio, this is the way I like to do it. Quick, dirty and done! As you’ve probably heard MANY times, nutrition is at least 80% of your results! If you can get the nutrition part down, the results will follow! And when you have a nutrition plan that is simple and flexible and easy to include all your family favorites you’ll stick with it! I don’t diet, and I don’t restrict my food groups or options. 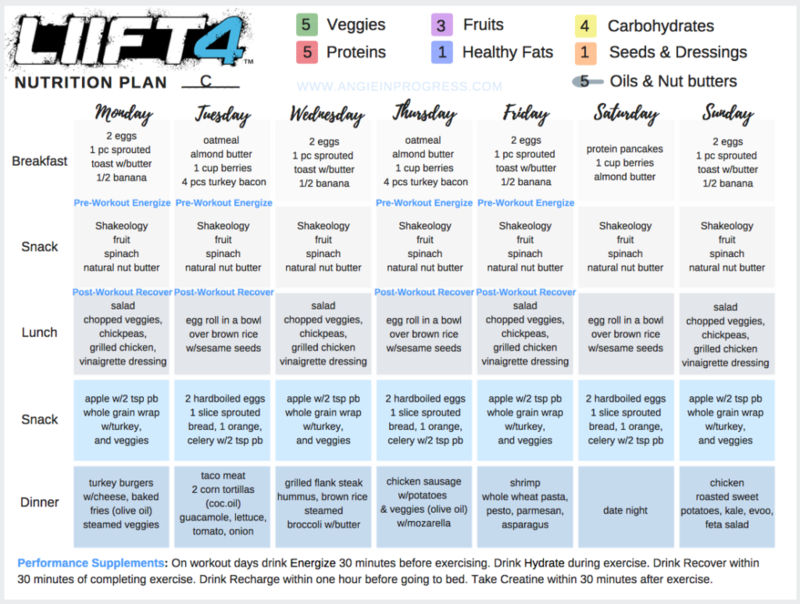 This plan allows me to eat all of the healthy foods I love, including healthy carbs and fruits! And it includes a cheat day! Everything in moderation! Want a BLANK plan to create your own? I’ve got that too! Click HERE. 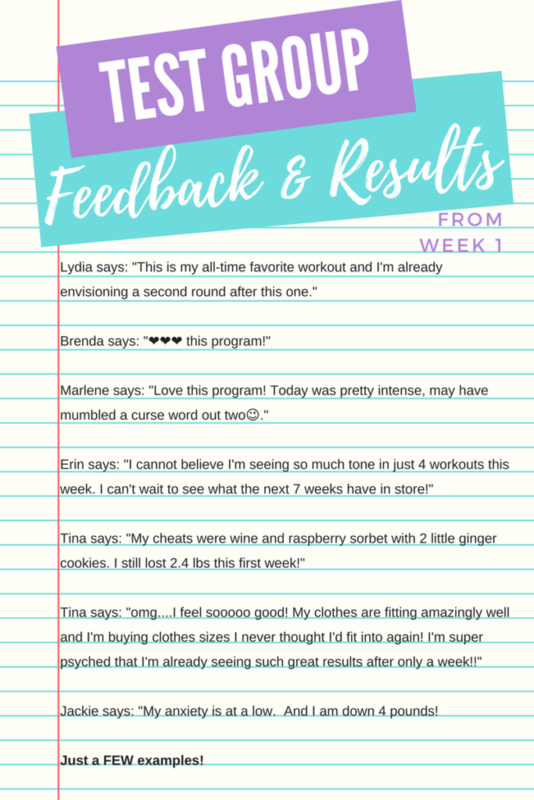 And it’s not just me loving the program, check out the feedback and results in my test group after the first week! And guess what, it’s not too late to jump in! 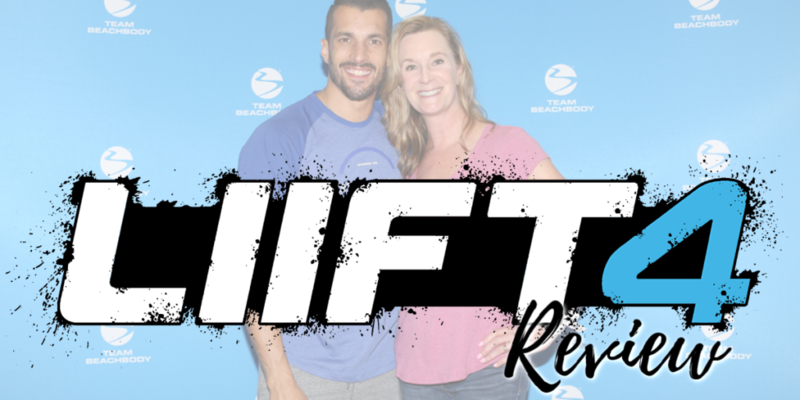 If you’re ready to get to work on some amazing results, and you don’t want to wait until October, fill out the test group application below and I’ll be contacting you to help you get started. *Already have access to the program, but need some extra support and accountability to help you stick with it, fill out the application! I’m here to help!